I am a huge planner geek and I love spending weekend afternoons decorating my planner pages for the week ahead. 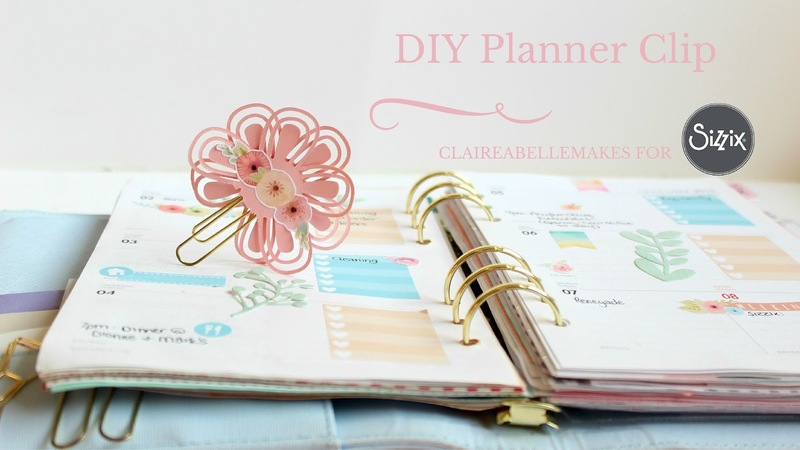 I decided to make a video this week to show how I made this pretty planner clip. I hope you enjoy seeing how it was made. I really enjoyed shooting and editing the video! Fall Tree or Christmas Tree? LONE STAR MINI QUILT: FINISHED! Copyright © Sizzix.co.uk 2012. All rights reserved. Powered by Blogger.